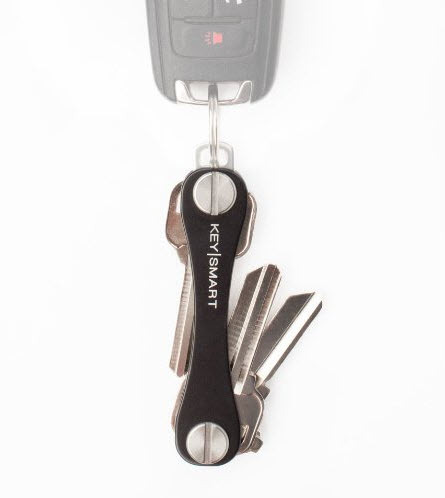 KeySmart is a fantastic new way to carry your keys. It’s compact, organized and keeps your pocket clean and your leg safe. Check out our video review below and see for yourself just how much nicer this little new item is than a standard keychain. I used to avoid carrying my keys at all costs. I hate it when keys poke my leg, always reaching into my pocket having to adjust them. With KeySmart, I’m regularly looking for opportunities to carry my KeySmart. Just watch the video and get one of these for yourself. You won’t be disappointed. Update: The spacers that I mention in the video are not required. You can place the keys in the KeySmart without them and it will fit up to 10! Here are some links to their website and to Amazon where you can buy it.